This recipe is super quick and perfect for you vegetarians. This could be also an easy side dish for your grilled fish or meat. In a large saucepan heat the olive oil. Add the onions and cook until golden brown. Add the tomatoes and season with thyme, salt and pepper. Add a little bit of brown sugar if the tomatoes seem too tart. Add the carrots to the tomatoes and onions. Leave to cook on medium heat for 5-10 minutes,as you stir often. 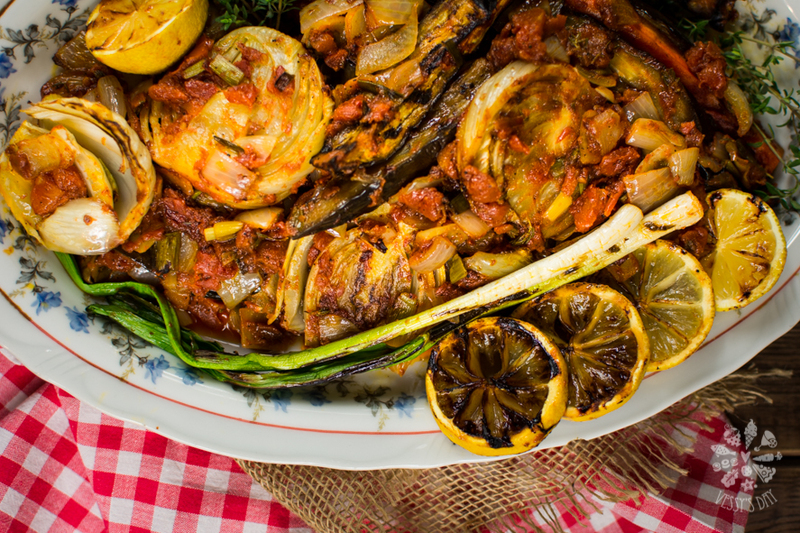 In the meantime heat a grill saucepan and grill the fennel and eggplant slices. 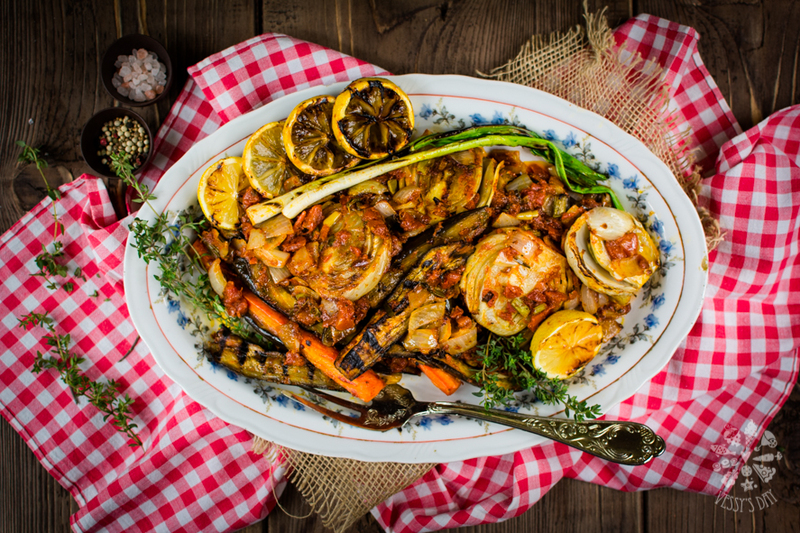 Transfer the grilled fennel and eggplant to a baking dish. Pour the tomato mixture over the fennel and eggplant and bake on 180C for about 30 minutes.